Years ago, when I was still hip-deep in DC Comics (both reading them and writing for them), I was a guest at a sci-fi/fantasy convention and wound up on a panel about superheroes and the law. I don’t think I was very popular on that panel, because as much as I love superhero stories, I think there’s one thing about them that, if you apply any kind of logic, becomes inescapable: superheroes and the law mix about as well as a bucket of kerosene and a lit match. Let’s take Batman for example. Now, I love me some Batman. Who doesn’t? He’s the Dark Knight, the Caped Crusader, etc. etc. He’s smart, he’s cool, he’s the pinnacle of what a human being can achieve, right? He’s also a vigilante, and in the eyes of the law, vigilantes are criminals. Pure and simple. There aren’t many Batman stories I don’t enjoy, but a sure-fire way to lose me is to get into the concept of Batman and/or Robin getting deputized by the Gotham City Police Department. That’s where my willing suspension of disbelief gets all unwilling-like. During the aforementioned panel, I brought up the massive collateral damage caused by Superman or the Hulk or Iron Man when they’re fighting some insanely powerful villain. Sure, it’s cool when Superman picks up a car and uses it to swat some bad guy through a building. But if we’re talking about real life, there’s going to be some poor schmuck who runs out of his apartment and screams, “That was my car, you alien jerk!” I mean, seriously, that guy needed his car to get to his job. Is Superman going to come and take him to and from work every day? Is Superman going to cover his expenses now that he’s unemployed? Is the insurance company going to take every opportunity to deny his claim? (No, no, and yes.) Superman just destroyed that guy’s property and damaged his livelihood, but won’t be held even a little bit accountable. It’s all fiction. We just make it all up. 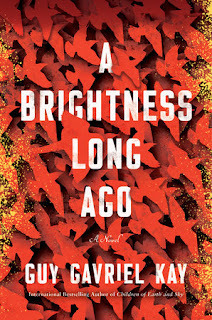 The question becomes, how close to the real world do we want to make our fiction adhere? Are we writing stories in which Batman runs down a street carrying a big Snidely Whiplash-style bomb with a sparking fuse? Or stories in which the Punisher unloads an AK-47 at a group of bad guys, and a stray bullet punches through a wall and kills a four-year-old? In the first book of the Gray Widow Trilogy, Gray Widow’s Walk, protagonist Janey Sinclair declares herself the protector of the city of Atlanta. A few years earlier, Janey mysteriously gained the power to teleport from one patch of darkness to another. She also developed the ability to see in total darkness, and her strength increased to roughly that of three very fit men. Janey eventually steals a suit of prototype military body armor, and decides to use her gifts to try to prevent other people from experiencing the heartbreak and trauma that she has. It’s a nice sentiment. Comforting, even, depending on your viewpoint of the world—the thought that someone is out there, lurking in the shadows, watching out for the little guy. Too bad it’s utterly, wholly incompatible with the law. Societies have laws—that’s just the long and the short of it. If we start ignoring the law, the civilization we’ve put together can’t hold and will eventually collapse. So where does that leave Janey? 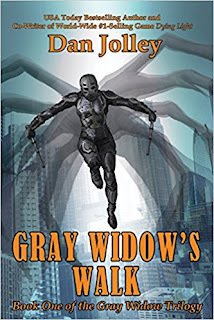 Well, characters grow and change and learn new things (or at least they’re supposed to), and in Book 2, Gray Widow’s Web, Janey Sinclair learns in a hurry that the world she thought she knew is just one tiny part of a much, much, much larger whole. Janey is left with little choice but to amend the way she looks at everything around her. Especially when extraterrestrials who view humans as little more than raw material make their presence felt. I hope you’ll join her, and see where she—and the rest of the human race—end up. 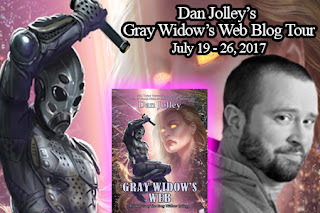 Dan Jolley started writing professionally at age nineteen. Beginning in comic books, he soon branched out into original novels, licensed-property novels, children’s books, and video games. 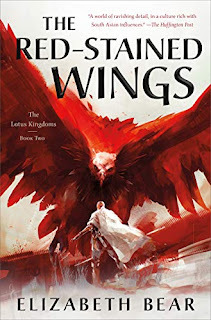 His twenty-six-year career includes the YA sci-fi/espionage trilogy Alex Unlimited; the award-winning comic book mini-series Obergeist; the Eisner Award-nominated comic book mini-series JSA: The Liberty Files; and the Transformers video games War for Cybertron and Fall of Cybertron. 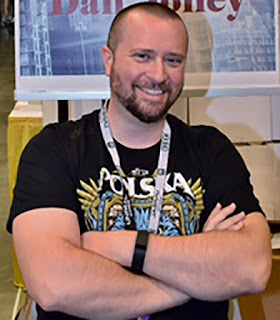 Dan was co-writer of the world-wide-bestselling zombie/parkour game Dying Light, and is the author of the Middle Grade Urban Fantasy novel series Five Elements. Dan lives somewhere in the northwest Georgia foothills with his wife Tracy and a handful of largely inert cats. Learn more about Dan by visiting his website, www.danjolley.com, and follow him on Twitter @_DanJolley. NATHAN PITTMAN, the teenager who got shot trying to imitate Janey’s vigilante tactics, and has since become obsessed with the Gray Widow. SHA’DAE WILKERSON, Janey’s neighbor and newfound best friend, whose instant chemistry with Janey may have roots that neither of them fully understand. 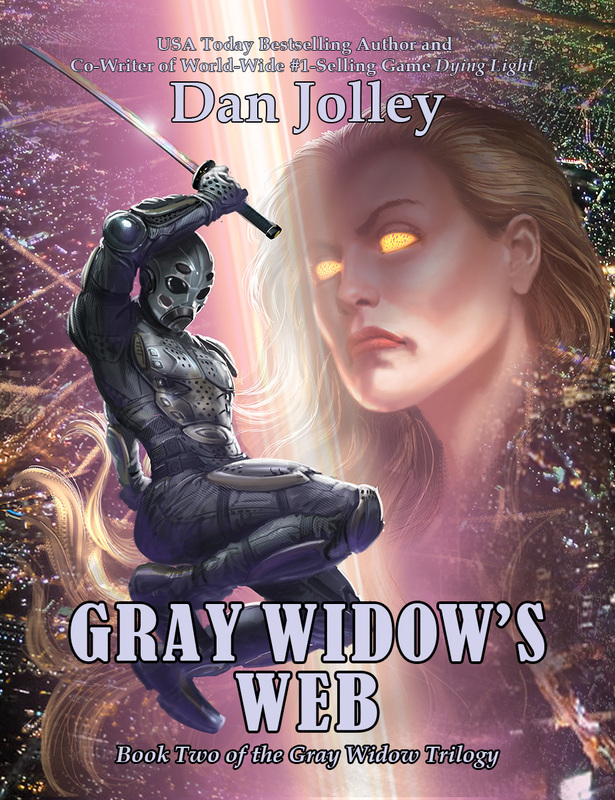 And Janey’s going to need all the help she can get, because one of the other Augments has her sights set on the Gray Widow. 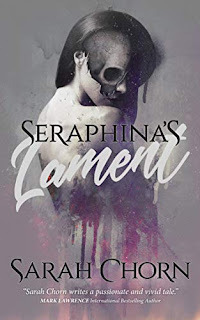 The terrifying abomination known as APHRODITE LUPO is more powerful and lethal than anyone or anything Janey has ever faced. And Aphrodite is determined to recruit Janey to her twisted cause…or take her off the field for good. Unrelenting ghosts of the past clash with the vicious threats of the future. 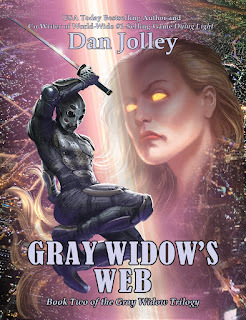 Janey’s destiny bursts from the shadows into the light in GRAY WIDOW’S WEB, leaving the course of humanity itself forever changed. This looks like an interesting series. I'm putting it on my "Want" list.